The Kyadondo East Member of Parlaiment Hon. 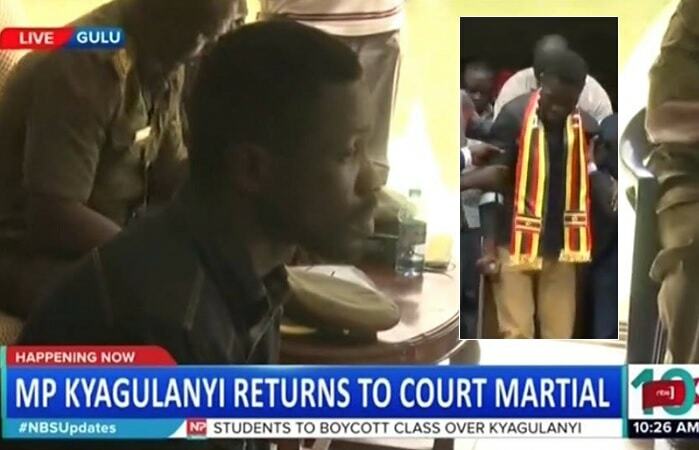 Robert Kyagulanyi has had the possession of firearms and ammunition charges against him dropped, but re-arrested and straight on driven to the civilian court in Gulu where they read to him the treason charges. This court hereby terminates the proceedings against Hon. Robert Kyagulanyi before this court, you are accordingly set free unless being held on other charges." 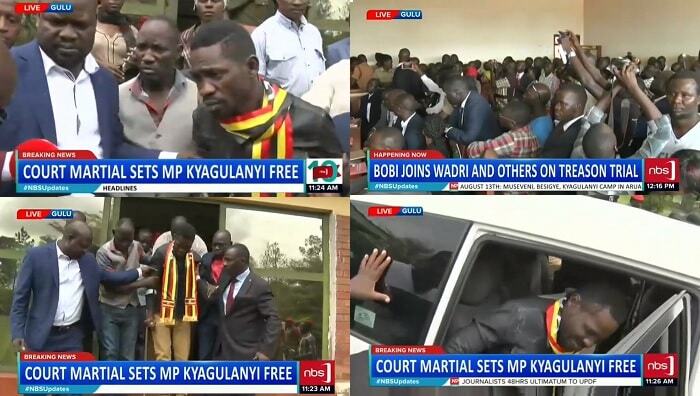 As Bobi Wine with the help of his brother Eddie Yawe and other colleagues made their way out of court, he was told by his lawyer Medard Ssegona that he was still under arrest and that, they were heading to another court. He asked him to be strong. The Kyarenga singer who looked knackered as he walked with a single crutch was guided to a waiting white police vehicle that drove him to the Magistrate's Court in Gulu. In the police car, he was in the company of his dear wife, Barbie Kyagulanyi. While in court, Bobi Wine tried to put on his red beret, but was stopped by the prison officers. The Magistrate who first claimed that Bobi was aged 22, but later admitted that it was a slip of the tongue read to him the treason charge. It is a capital offence and the accused was not allowed to enter into a plea, it was suggested that Bobi be remanded till August 30 when the other suspects would return to the very court. His lawyer Medard Ssegona chipped with a prayer that the legislator be remanded to a hospital where he can receive treatment, plus other co-accused who were in dire need of medical attention to be referred to a private medical facility. "Fairness demands that you try a person who is in good health," Ssegona added. In respect of his health, Bobi Wine and others in similar conditions were allowed to receive medical attention at their preferred medical facilities. The case was adjourned to August 30, 2018. 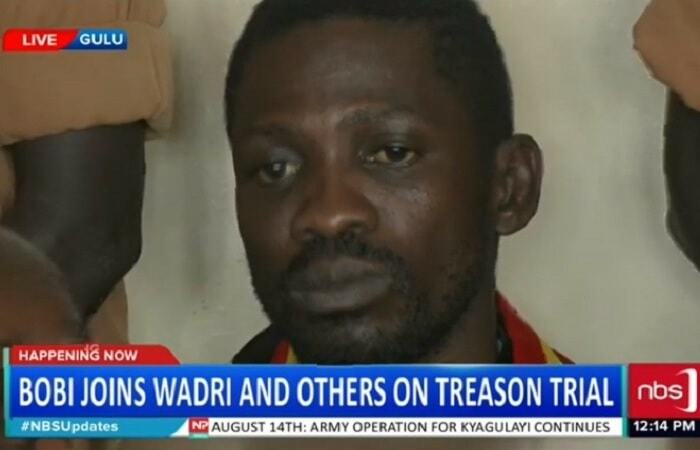 Bobi Wine was driven off in a prison's vehicle.